Recently in one of the Exchange 2013 environment POP3 clients started getting the problems in downloading the emails from the server. The strange issue was users were unable to download the emails intermittently and it was not permanent for POP3 accounts. When this issue occurs the POP3 accounts will stall for a while and later after some time it would start collecting the emails from the server without any issues. This issue is happening, because the POP3 connections are sending more requests to the server. This is the main reason for the application to intermittently drop the connection. When the connection limit per user exceeds the default allowed limit, the connection will be forcibly closed by the mail server. And then this connection reset will happen after 4 minutes after which the client can reestablish the connection , download the emails until it reaches the threshold limit of per user. So the POP3 Throttling policy allow the counter reset after 24000 milliseconds . So when the user connection limit exceeds the default value he wouldn’t be able to connect till the next counter reset happens. Its important to note that both the POP services POP& backend needs to be restarted after this change to take effect,so we can go ahead and run the below command for the restart of the services. POPMaxConCurrency – The PopMaxConcurrency parameter specifies how many concurrent connections a POP user can have against an Exchange server at one time. A connection is held from the moment a request is received until a response is sent in its entirety to the requestor. POpMaxBurst- The PopMaxBurst parameter specifies the amount of time that a user can consume an elevated amount of resources before being throttled. POPCutoffBalance – The PopCutoffBalance parameter specifies the resource consumption limits for a user before that user is completely blocked from performing operations on a specific component. 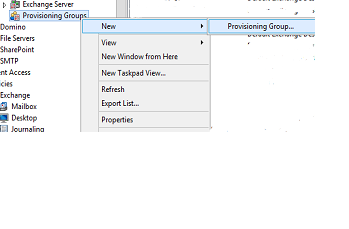 There were Get-WorkloadPolicy IMAP,POP commandlets present before Exchange 2013 CU6 , but later now these commandlets have been removed post CU6 and replaced with Set-SettingsOverride but strictly this Set-SettingsOverride command should be used only under the supervision of Microsoft Support professional. These values also can be modified based on the requirement , just in case if we have any applications which requires these values to be modified as per the requirement. This error message can frequently appear for users after the mailbox migration from Exchange 2010 to 2013 or 2016 . The actual cache is that this error will be coming up only for few users and it appears to be perfectly fine for rest of the users.The thing is that the Outlook will appear to be working fine , users will be able to send/receive emails except for this annoying message keeps prompting the users very often. On Further Analysis identified that this occurs only for users who have multiple delegated accounts mapped under Outlook.The User mailbox resides on different database and the mapped Delegated accounts resides on different databases. The delegated account is not fully established the connection to the new Mailbox Databases after the migration due to some reason and the users delegated mailbox table did not receive the delegate permissions accounts information. We can further look a deep analysis on the mailbox tables on the affected user by using MFCMAPI and looking into ACL tables but then that will consume a lot of time. 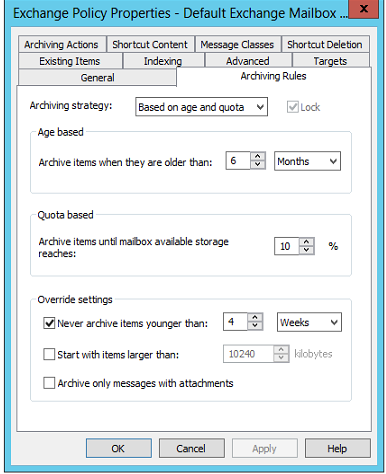 1)Recreate the Outlook profile which will reestablish the connectivity to the new databases for the delegated accounts and update the mailbox table for this user. 2)Moving the mailbox to a different database which will reset the mailbox table receive folder values , update the ACL tables for delegate accounts and solve the issue. The msExchHomePublicMDB attribute on Exchange 2016 databases should not have the legacy public folder object(Exchange 2010). If we find this value in Exchange 2016 databases we can go ahead and remove them ,Since there are no more OAB end points that depends on PF’s and no more Outlook clients that require PF’s in Exchange 2013,2016 Environment. Open ADSIEDIT.MSC – Configuration Container – Navigate to Configuration Container – Expand Services – Microsoft Exchange – Domain – Administrative Group – Exchange Admininstrative Group – Databases – Right click on the databases seen on the righ pane and choose properties – Look for msExchHomePublicMDB and if it has any values clear them. Make sure to clear this values for all the other databases we have. This above troubleshooting is applicable only for users migrated from Exchange 2007/2010 to 2013/2016 and not for the below scenarios in any cases. 1) Issue occurs after the mailbox was moved to a new Exchange site or forest with same Exchange versions Exchange 2010. 3) Issue occurs after Changes were made to the public folder databases in Exchange 2010. 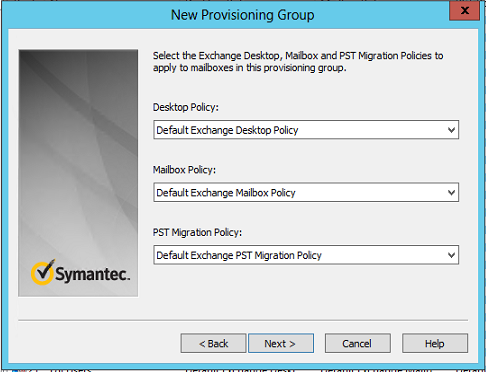 4) Issue occurs after Changes were made to the Exchange server endpoint. 5) Lync wasn’t restarted after the mailbox was moved or after the Exchange server endpoint was changed. 6) You’re running an older version of the Outlook client. 7) The service re-balances mailboxes on databases at various sites. As we all know TMG was such a great fantastic and a fabulous product which was serving good for most of the external published web services. I know most of us are really worried about the reason of discontinuing this awesome product. So now people are moving towards alternatives for replacing TMG. Among the few good alternatives F5 load balancer is one of the great product. Recently i had a chance to involve and work in this project which was lead by messaging expert and network specialist. I would like to share few experience that i gained and things that we need to consider during this migration. In the TMG we had the option to publish any sites , setting up and controlling the authentication delegation , application settings and we can set a secure way to access these url’s through this reverse proxy. I still really feel bad for the reason ISA & TMG being abandoned by Microsoft as deploying exchange, lync in a environment was equally working in ISA,TMG implementation for most of the deployments. From F5 Big IP you need to use the IAPP template for the versions of the exchange that you are running currently from the F5 support website. I’m not going to explain more on this IAPP templates of importing them on the LTM and how to configure the settings since in this blog i’m going to explain the best practices that we can follow for Exchange 2010 & 2013. 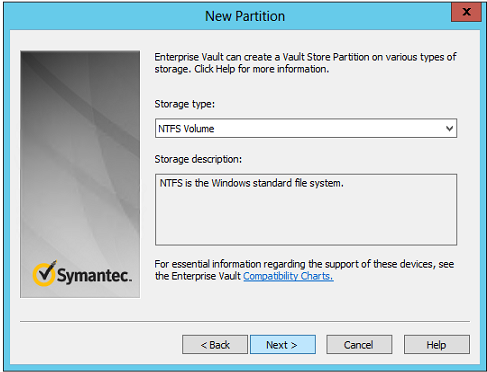 Just download them and install it on any VM to test this functionality. Decide what type of SSL encryption that you are going to use. If you are going to use SSL offload then all the certificate decryption part will happen in the F5 itself. Then connections from the F5 to the CAS will go in un encrypted way. Your CAS will not have the load of performing the SSL decryption. There are possibilities of application layer attacks by doing this method since the connection from the n/w to the app layer goes in a un encrypted way. If you are going to use this method then the SSL decryption will happen in the F5 and inturn it will re encrypt and send the connections encrypted to the CAS servers. Double layer SSL connections check is done in the n/w layer by the F5 and the CAS servers. Disadvantages : If you are using less number of CAS servers then the load on them might be increased which is happens in less scenarios. I cannot recommend any on this because its you ultimately who needs to evaluate your network structure , performance and extra layer of security that is wrapped up in your environment. But my best recommendation is always to stick on SSL bridging. For doing any of the above activities you would need to have an SSL certificate for the BIGIP to offload and performing the decryption , encryption part. So get an SSL certificate and install it on the BIGIP system. 3) If you are using the new MAPI over HTTP transport protocol in Exchange 2013 there is a little bit challenge. This new service is not yet included in the iApp template, so you must manually configure the BIG-IP system to support it. 4) As a part of testing in your migration don’t ever direct the external exchange traffic from TMG to F5 and then the CAS and later remove TMG. a) TMG uses ARP requests to prevent switch port flooding in unicast NLB. b) F5 extracts only the MAC address from the ethernet adapter instead of ARP requests. Since the TMG will mask the MAC address of the hosts F5 will not get the info what it requires. Alternative Name) format, not SNI (Server Name Indication) format. TCP request queuing provides the ability to queue connection requests that exceed the capacity of connections. 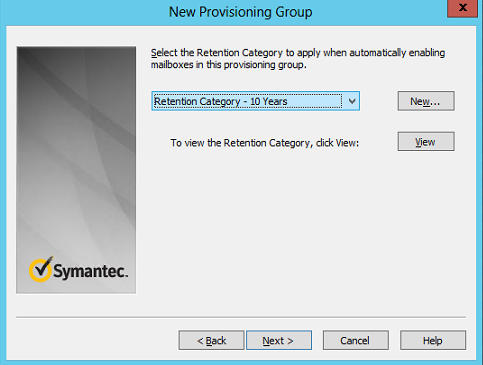 You can choose this option if its a small deployment with one CAS server. Basically if the TCP connections exceeds the capacity of the pool it holds the connections instead of dropping the connections. 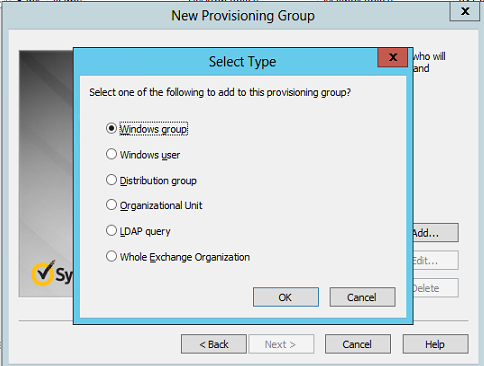 Configure settings in iapp to restrict EAC access by group membership.Select this option if you want to restrict EAC access to the Organization Management group. presents a login page to end users that takes the place of the forms-based login page normally presented by Outlook Web App. If you have configured the FBA in the CAS VD then you no need to configure this authentication in F5 because users will be prompted for doube authentication one in F5 and other in CAS VD which will be painful. I always prefer to do this part on CAS VD and leave the reverse proxy setting as such. 9) You can configure the health checks for the owa, outlook web app,outlook anywhere in the F5.YOu need to specify how often the system checks the health of the CAS servers. The default recommended value is 30 seconds. You can configure this to monitor all these services. c) Monitor and test the connectivity for couple of weeks. d) If the connectivity tests are successful on a fine day shift the original IP’s of all the exchange services and stop all the TMG services. In this article lets have a look at few important things that we need to consider before enabling Unified Messaging feature for the end users. When the Unified Messaging server feature is enabled it requires a grammar file to provide voice user interface (VUI) that uses Automatic Speech Recognition (ASR). It updates the grammar for the UM enabled users through global address list based on the speech grammar filters , languages that are configured. 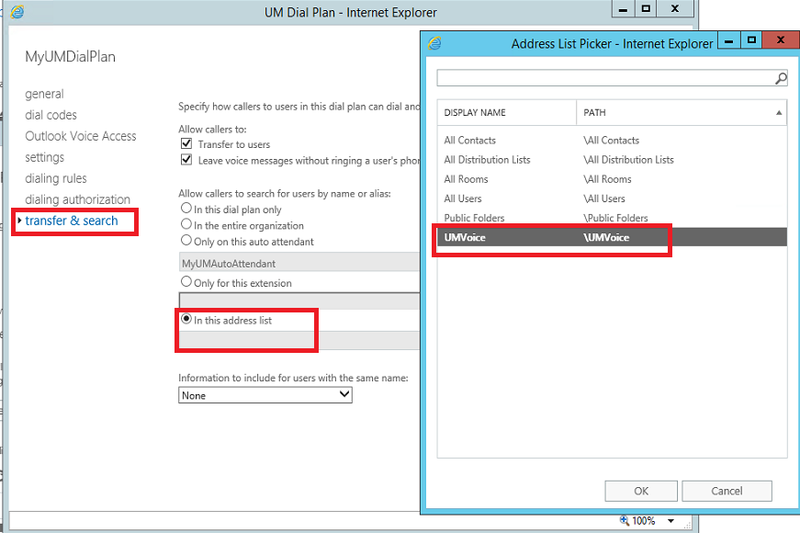 Its better to create a custom address list for the UM auto attendant and allow callers to send voice messages only to this custom address list. There are few benefits of doing this. 1) You add only the users who require UM enabled on this custom address list. 2) You create the custom address list only with the mailbox users so that the contacts present in the address list will be excluded. Now lets have a look at how to accomplish this task. Run the below command to create a custom address list for the Unified Messaging. IMP: For a grammar file to be generated for a distribution list, the distribution list must not be hidden. Later scope the UMAutoAttendant only for this custom address list created as below. Select the Transfer & Search option and choose only the address list which was created for UM .You can add only the users for whom you have UM feature enabled. By this way you can exclude the contacts. Exchange Unified messaging role gets the Speech inputs from users to perform directory look-ups. Then it looks the display name of the UM enabled user in the GAL and then inserts into the speech grammar. When the Display Names had periods then the speech inputs might not be recognized properly at times in Exchange 2010 UM servers. For Exchange 2013 as there is no commands to perform this action. For Exchange 2013 the GAL speech grammar file is stored in the arbitration mailbox and then later downloaded to all Mailbox servers in that Exchange organization. By default, the Mailbox Assistant runs every 24 hours. You can adjust the frequency by using the Set-MailboxServer -ManagedFolderWorkCycle assistant cmdlet and change the frequency. But the better way to address this is to just restart the Microsoft Exchange Mailbox Assistants after you create a new dial plan and leave the generation cycle as such to 24 hours.So when we restart t all the GAL speech grammar files will be updated. Now a days there are so many active sync enabled applications which end users can download, install on their mobile devices and access emails . If we have any MDM solutions in place to control the end users mobile devices then we don’t need to worry about this part. In most of the MDM solutions the implementation will be segregation of the devices own device policy ,corporate device policy and applications that can be downloaded and accessed from the devices. 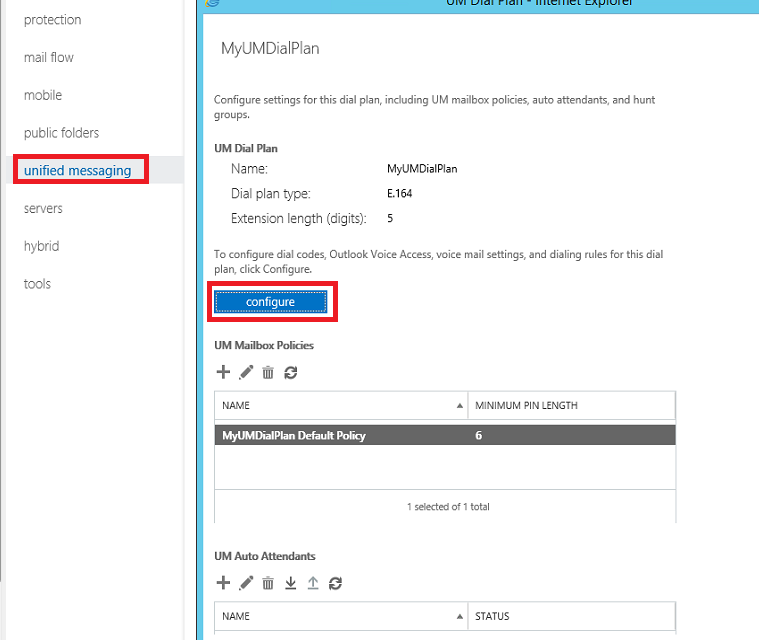 The challenge comes when we do not have an MDM solution in place and users accessing the emails from their mobile devices without any active sync policies configured. In this article lets have a look at some troubleshooting guidelines that we can perform to block users trying to access the emails from their mobile device through any third party active sync enabled application. How to find the Active Sync connections coming from different mobile applications ? You can filter and see the active-sync requests in the reverse-proxy/firewall.This is the best way and you can find them easily. 1) Filter the active sync requests in your firewall or reverse proxy accordingly and start the query. 2) Usually in most of the firewall and reverse proxy it will show you the source,destination and the request after the filter. If the user device is connected through any application Eg: cloudmagic you can see the word “cloud magic” in the request URL. By this way you can identify the users . It should be easy. You will get any output of the above only if you have created any device access rule for the same. In the Query String parameter you can see the type of the software that the active sync is used for connecting. Just an example below of how the log entry shows for the android device type. Now how do we block all these types of connections and allow only Native client ? In my example i have created a new device access rule to stop the connections coming from cloudmagic application. Note: Make sure that you take a backup of the web.config file before making this change. Also additionally create a rule in the firewall,reverse proxy stating that any active-sync requests that come with the url “cloud magic” drop the connection and do not proceed. After performing the above log into your reverse proxy perform a filter and see if this query type with cloud magic is getting blocked(definitely it should be).